You would expect the #Arabic #Wikipedia be the richest resource on the history of the Muslim world. The reality is a bit different. I have been adding information for several Muslim dynasties, particularly those who had their territory in Northern Africa. To my amazement I find that the Catalan Wikipedia does a better job at providing information. To some extend it makes sense; Spain and Portugal have been ruled by Islam for a long time and consequently these dynasties are part of their history as well. 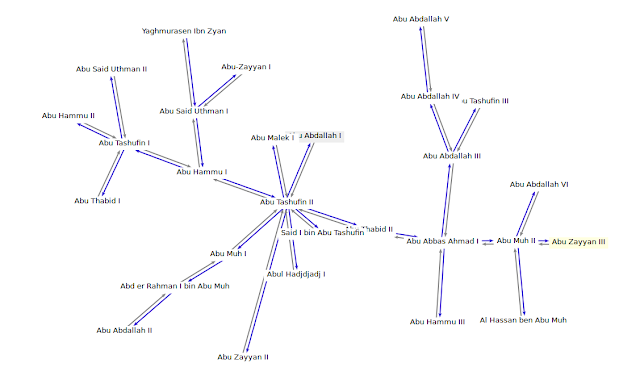 The genealogy of the Zayyanid dynasty is complicated. What you see in the picture are Zayyanid emirs. 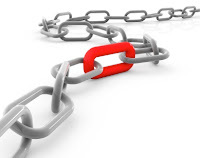 The problem is that you have to trust the Wikipedia information it is based on. Abu Hammu III for instance ruled from 1517–1527 and is said to be the son of Abu Abbas Ahmad who ruled from 1430–1461. This means that he was at least 55 when he became emir.. It is possible. His brother is said to be his successor for another 13 years; this I find unlikely. To create this image, it was necessary to create several Wikidata items, many English labels and all of the genealogy information. It would be really cool when this information is verified and completed with source information. It is only a stub for information in Wikidata.